Our clients love us, and we have the numbers to prove it. 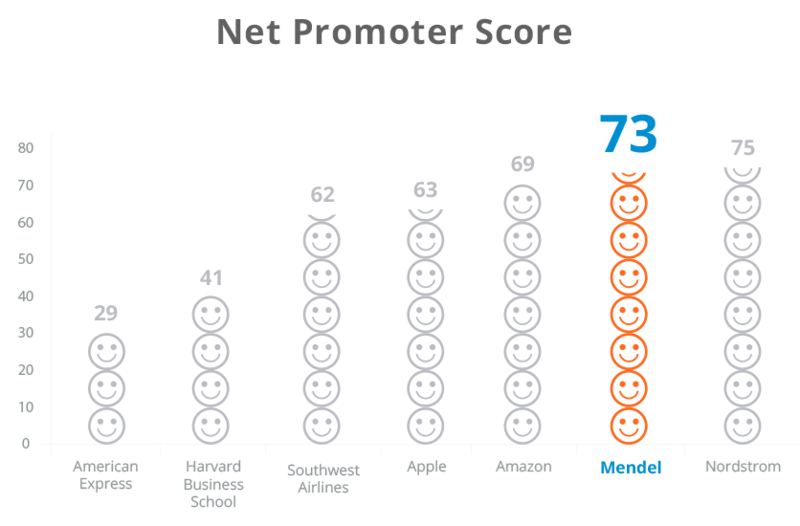 Our NPS* score beats Southwest Airlines, Amazon, and Apple. Why is our customer satisfaction rating so high? Because we keep our clients happy. It's that simple. *The Net Promoter Score is an index ranging from -100 to 100, measured by a 3rd party firm, indicating the customer's overall satisfaction with a company's product or service, the loyalty to the brand, and the willingness to recommend the company’s product or service to others. From the client care professional you speak with on the phone to the technician who comes to your home, our team members focus on making the Mendel Experience as easy and enjoyable as possible. Backed by a team of technicians with hundreds of years of combined experience, Mendel provides commercial and residential plumbing services for jobs of any size in Fox Valley. Come to us for commercial services like design and build assistance, build-outs, ADA upgrades, process piping and EPA-licensed backflow prevention, as well as for residential gas line piping, installation of fixtures, winterizing or power-jetting of sewers. An innovative technology developed in conjunction with the U.S. Department of Energy, AeroSeal Duct Sealing is a great way to increase comfort, air quality, safety, cost efficiency and environmental benefits in your location. 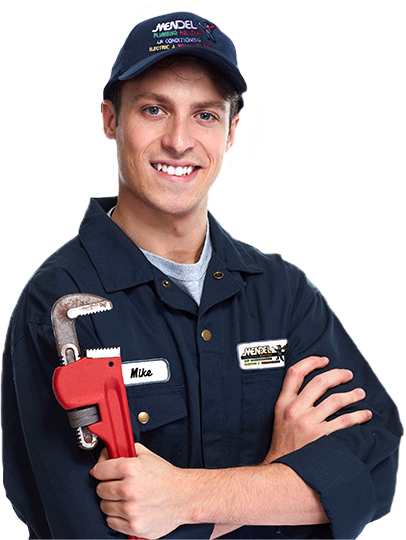 Ask almost anyone in the Fox Valley, IL community about Mendel Plumbing & Heating, and, chances are, they are already familiar with the outstanding level of heating, air conditioning and plumbing services and personal attention we provide. Since our founding in 1985, we’ve made it our mission to provide 100% satisfaction to every client, every time. That’s why, to this day, our growing family of technicians and staff continue to deliver the same commitment, right to the doors of Fox Valley and surrounding area homes. Come learn for yourself why the Mendel name is synonymous with plumbing, heating and cooling services you can trust! We often hear that once a client uses Mendel, they have a hard time trusting anyone else. 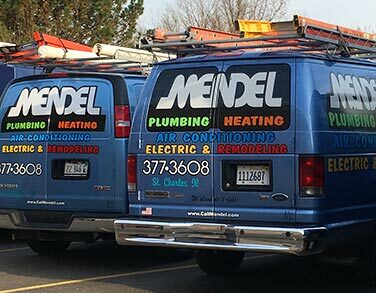 Coming to Mendel means coming to a plumbing, heating and cooling company committed to your 100% satisfaction. We aim to WOW you with our trustworthiness, expertise and convenience — and that’s why we call what we provide "The Mendel Experience." 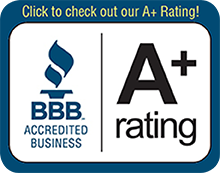 We're more than heating and cooling experts; we're passionate professionals who work hard to earn your full and total trust. Do the Job Right: We only do the complete, professional job. We don't believe in low-ball prices and nickel & dime adders to do the job right. Let You Decide: We won't steer your decisions - rather we'll educate you on your options for you to choose what's best for you & fits your budget. Make it Right: We stand behind the quality of our work and service. If you're ever less than 100% satisfied, let us know and we'll make it right.